Why Choose Hexii Aerial Imaging? We are a professional aerial filming and photography company, providing unique cinematic aerial services worldwide. Born from a need to capture cinematic aerial shots alongside our film production team at PTCreative, Hexii Aerial Imaging was established. 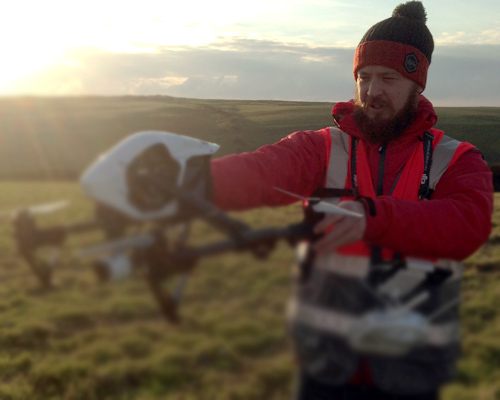 A talented drone pilot, Martin has the skills to get our UAVs in just the right place safely on any shoot. 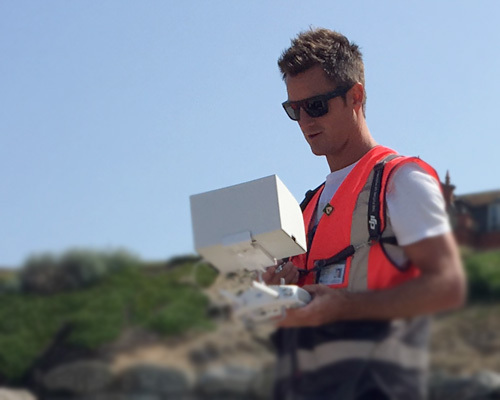 He’s spent many hours building his own drones and fine tuning gimbals and flight controllers. This gives him an in-depth knowledge and understanding of all the working components of the aircraft we fly. He is responsible for all our pre, and on-site safety surveys and inspections and makes sure all our equipment is checked and ready to go. Also a skilled photographer, Martin knows how to obtain a great composition and perspective. His healthy addiction to Peli Cases ensures that all of our equipment arrives on site safely and organised. An experienced professional photographer with extensive filmmaking experience having worked around the world. The driving seat behind PTCreative, Paul brings all of his knowledge and experience to the world of aerial filming and post production. Passionate about flying, filming and adventure sports with extensive experience filming a vast array of different subjects from land, sea and air. With his in-depth technical knowledge of camera systems and photography, he is the one to speak to regarding your production. Paul is also a qualified UAV Pilot, allowing a greater understanding of the capabilities of the aircraft we operate which enable us to achieve highly dynamic shots. His healthy addiction to photography equipment ensures we have access to the latest technology. Martin and Paul presented a polished and professional approach to the whole F.O.E. (Flight Operations Exam) process. Good pre-site assessment research and good overall knowledge of the companies operations manuals and adherence to it. Our aim is to capture dynamic aerial drone footage for each production we work on. Contact us to discuss any Drone (UAV) Services you require.